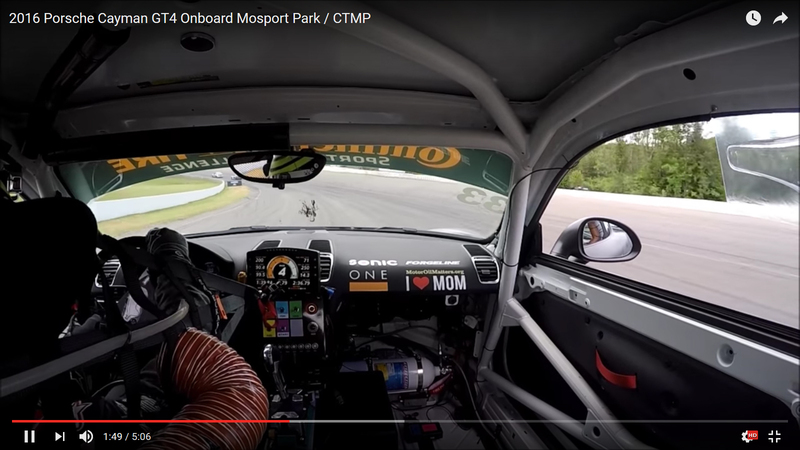 A lap around CTMP / Mosport Park in our ONE Capital / Motor Oil Matters Porsche Cayman GT4 Clubsport. This car is campaigned by CJ Wilson Racing in the Continental Tire Sports Car Challenge. This is during the race – Danny Burkett pits for fuel, tires and driver change, Marc Miller gets in.